One of the possible curriculum to use to teach students with complex communication needs is Teach Me AAC. Teach Me AAC is just beginning to make a dent in the world of AAC for those with severe or multiple special needs, as it rightly should. Teach Me AAC was created by Pati King-Debaun. Teach Me AAC uses research proven techniques for teaching AAC skills, such as Aided Language Stimulation, re-casting and repetition. Language is arranged pragmatically and guides conversation. Compared with some other books it is much smaller and more usable for teachers, para professionals and families who shy away from giant books with hundreds of pages and super difficult means of access. Also the Teach Me AAC book is available in an identical dynamic display version using Boardmaker Speaking Dynamically Pro and there are rumors that one or more of the "big three" AAC companies will add this system to their selections. The Boardmaker SDP version does import perfectly into the Tobii Communicator software, making it ideal for eye gaze users who have this speech device. You can download a sample of the Teach Me AAC book here. Or purchase the book individually or as part of a curriculum here. A free course is available online to learn more about Teach Me AAC. It can be found at EduWorkshops. Use Teachme as both the log in name and password. Unfortunately embedding is disabled for the videos the author has posted online, but here are the links so you can see it in action. Here are some handouts explaining the system behind Teach Me AAC. Finally here is the blog about Teach Me AAC and the Communican Classroom that Pati wrote: Teach Me AAC Blog. 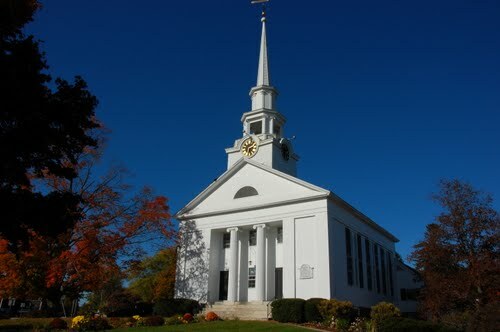 In AAC it matters little what church you belong to, as long as you BELIEVE! I spent the past week at the International Society for Augmentative and Alternative Communication Biannual Conference, held this year in Pittsburgh, PA (and in 2014 it will be in Portugal). I learned a lot and enjoyed my time meeting people I had only known online before then. A few days into the conference, however, I started joking that we all needed color coded dots on our name tags as shorthand to tell others which "church" of AAC we have joined. What I mean is that people who believe dogmatically in a certain system of AAC (or device or symbols) to the exclusion of others and are such fervent believers that they appear to belong to a sect or a very demanding church. Some people needed green dot because of their belief in Facilitated Communication (now sometimes called supported typing) while others needed a red dot because of their belief in PODD (Pragmatic Organization for Dynamic Display). Still others needed other color dots for Visual Scene Displays, MinSpeak/Unity, Word Power, and Bliss Symbolics. Of course there were also people who needed some identification to show that it was a specific hardware or system they followed, the PRC people (and correspondingly MinSpeak/Unity/LAMP), the Dynavox folks, etc. And then there where those who needed some kind of mark to show they followed a personality more so than anything else, Bruce Baker, Gayle Porter and Janice Light (to name only a very small few). There is nothing wrong with believing strongly in any of these "churches" of thought in AAC. All these people and the people behind all of these systems are trying to do good. They believe in the power of augmentative and alternative communication. The problem seems to come when followers of any of these believe in them so ardently that they cannot allow for the fact that there are other ways of doing things. The problem increases when we in the field push one means or method of AAC over another merely because it is what we know well, it is the church we belong to, at the exclusion of systems or supports that may be more suited to the situation at hand. Additionally, proselytizing our own churches of AAC to parents and future AAC users can give the false impression that the system, symbols or device are more important than how we implement it. Families and future AAC users are frequently lead to believe that if we just, "get it right" with the selection of a system, device or symbols then communication will happen, like magic. This isn't true. Learning to be an efficient and functional AAC user takes years and years of instruction and hard work. Professionals bemoan families who will not use AAC systems or devices at home, but we don't spend much time looking at how our actions created this reality. We, usually without meaning to, create the idea that getting the system is the cure, then we fail to follow best practice in implementation. Truthfully, communication success with AAC depends much more on implementation than anything else, on how we teach and present AAC. If we moved our focus from our "churches" to how we implement AAC, no matter which system, device or symbols, we would see more competent communication users and less abandoned devices. Before anything else, as I was reminded in the comments, but should always state - Presume Competence! There is no such thing as "too low to communicate". Create a language rich environment - label everything, not just with the symbol for the thing but also with sentence strips using core vocabulary, so instead of the symbol for "light switch" by the light switch but a sentence strip of "Turn the light on" over the switch and "Turn the light off" under the switch. Then model by pointing to each word on the label, and if possible in the communication system, EVERY time you use it. Use visual schedules. Model, model, model these adaptations ALL THE TIME. Use more symbols not less, assuming you should "start small" seems obvious, but with only 4, 6, 8 or 10 symbols there is not much to say and little to model. Start with a larger vocabulary for best results. Zip your lips and wait. Nothing is more important than quieting yourself and allowing an AAC user to listen, think, form a message and respond. I will say it again, ZIP your lips and WAIT! Use the "expectant pause" during conversations, when it is the AAC users turn to participate, learn forward, keep your eyes kindly on the user, look ready but patient and BE QUIET. Ask open ended questions to expand, "I think you are good. Why do you think you are good?" Respond to every communication attempt - even if it is just to say you heard him or her and the answer is no. Assume intentionality to teach intentionality. One of the worse things we can possibly do is doubt the child's communication. How many times have you heard someone say, "I don't think he meant that", right in front of the student? We must assume that all communication is purposeful for the child to learn that communication is a worthwhile endeavor. Make sure the device or system is always available, how else will the user learn how important and valuable it is if we don't go through that trouble? Beyond all else, BELIEVE! Believe in the power of AAC. Believe in your power to give the gift of communication. 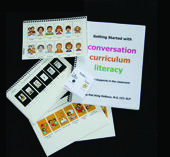 BELIEVE that your student or child can learn how to communicate. Can I get an, "Amen"? P.S. I had many, many conversations with and watched many presentation by teenagers and adults who use AAC fluently at the ISAAC conference. Some used Words+, some used RollTalks, some used Toby Churchill Lightwriters, Some used PODD, some used Dynavox, some used iPads, some used Tobii C-eye and many used PRC devices. I even watched a girl at the airport use her Dynavox to ask her father a million and one questions about their holiday in New York after the conference. There is NO such thing as one size fits all in AAC. This new switch, the Candy Corn, is very exciting. It is a proximity switch, meaning that you don't actually have to touch it to activate it! Normally such switches are extremely expensive (meaning that many of us have never used them or make magnet activated switches ourselves).